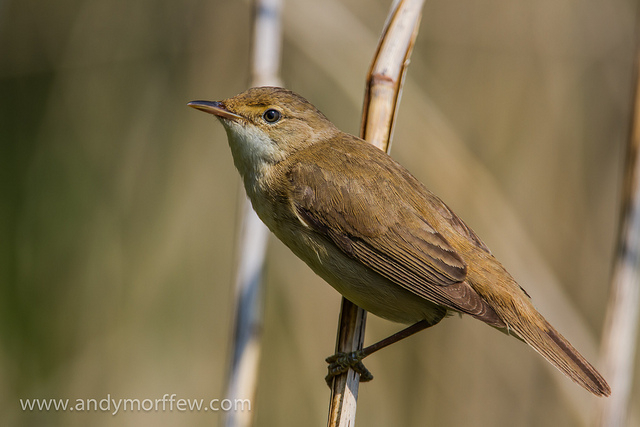 As their wings and bills grew toward adult size, however, the young Reed Warblers got better and better, first catching some flies only to drop them, then successfully catching and eating them. As soon as they managed to swallow a fly, they stopped pecking at random objects and fixated on the insects. By 22 days old, they were regularly catching their own flies. 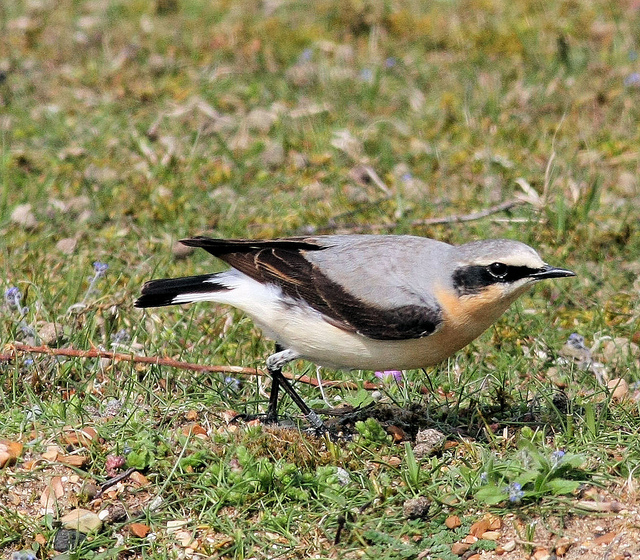 Juan Moreno (1984) followed four broods of Northern Wheatears in the wild in Sweden. In the first days after fledging, the chicks stayed close to rock piles where they could quickly hide, and passed the time begging, preening, and “manipulating only inedible objects like pieces of grass and moss, small stones, and flowers.” Soon, however, they began hopping along in the grass and pecking. As time went on they began to attempt catching prey on the wing, although they had the most success catching bugs as they flew past close to where the birds sat, probably because the young birds weren’t very good fliers yet. Eventually they too transitioned to adult foraging techniques. Adult Northern Wheatear hunting in the grass. P.S. 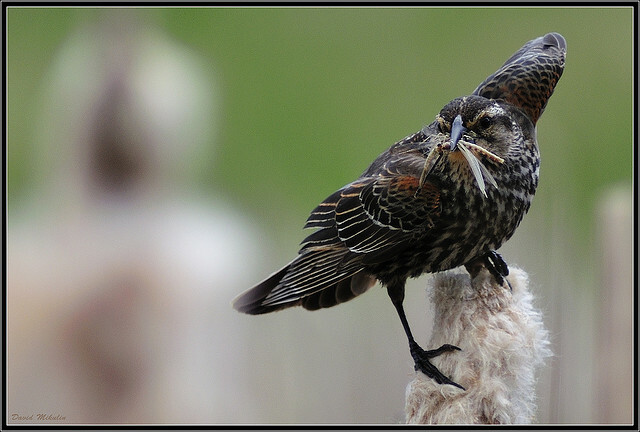 If you like scientific papers describing young birds behaving in amusing ways, you might like this post from a while ago. Davies NB, Green RE. 1976. 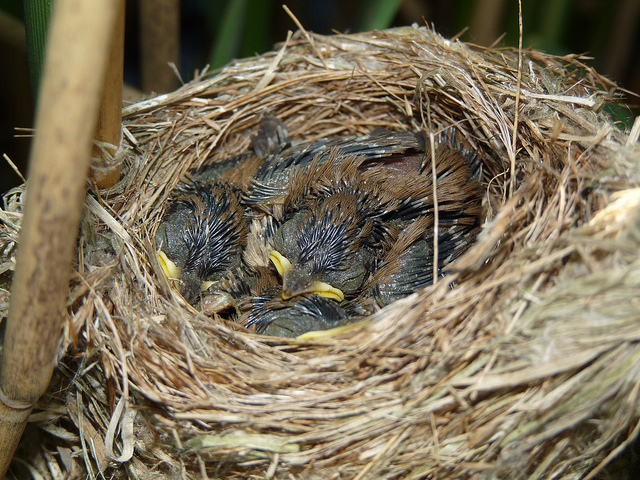 The development and ecological significance of feeding techniques in the reed warbler (Acrocephalus scirpaceus). Animal Behaviour 24:213-229. Moreno J. 1984. Parental care of fledged young, division of labor, and the development of foraging techniques in the Northern Wheatear (Oenanthe oenanthe L.). The Auk 101(4):741-752. 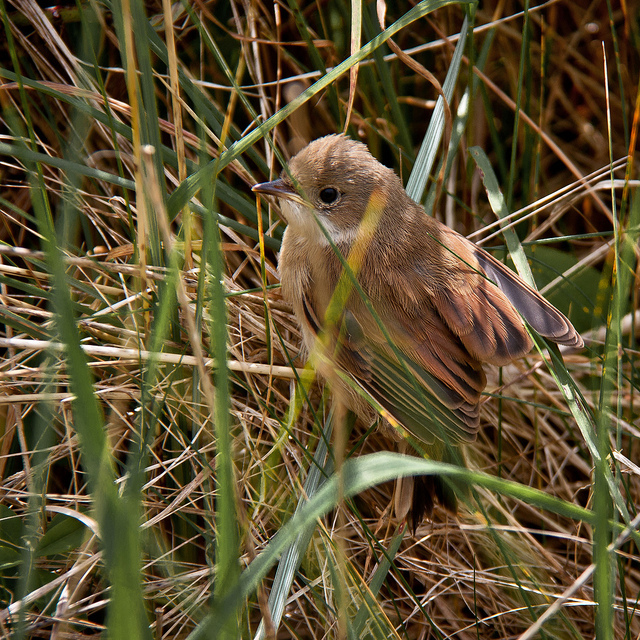 This entry was posted in general science-y stuff, other people's research and tagged animal behavior, biology, birds, learning, Northern Wheatear, Reed Warbler, science by toughlittlebirds. Bookmark the permalink. It’s interesting to hear about they develop critical skills. It seems that just like humans, practice is one of the key. Reblogged this on Cindy Williams Art.